Wow! I can’t believe it is the 4th quarter of school! This is my favorite time of year because you get to see all the growth that the kids have made! I am so very proud of each and every one of them! We had some fun visitors this week in KA! Check out the pictures below!!! Wow! We had a great week in KA! I sure did miss my class on Tuesday but I know they had a lot of fun with Miss Botos! We had an AWESOME time having our odd picnic! Thank you to everyone who sent something in! Next week is one of my most favorite weeks, Dr. Seuss Week! If you would like to send in your child’s favorite book to read, please do that on Monday. It would be helpful if their name is in the front cover and we will return it when we are finished. The following week is spring break! It feels like it was August just yesterday! As we are getting ready for next year, it would be a great time for your child to walk into school by themselves. This will help them start their morning routine quicker and feel more independent. Another great skill to start practicing would be typing their shoes and zipping their coats. Thanks so much for helping me in this area! We are working so hard in KA! I am so proud of each and every kid in KA! This is one of my most favorite times of year! Their reading skills are really taking off and it is so much fun seeing their growth! We are working on two reading strategies right now: Eagle Eye and Chunky Monkey. Ask your kids about these strategies! Welcome to KA's webpage! 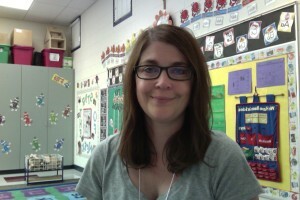 My name is Kelli Swift and this is my 17th year teaching Kindergarten at St. Pius X / St. Leo School. I am very excited for a year full of fun, learning, and spiritual growth.